You will spawn in a small village, located near the jungle biome. It has everything for comfortable survival: houses, blacksmith shop, a garden and even a mine that will simplify your search for minerals. 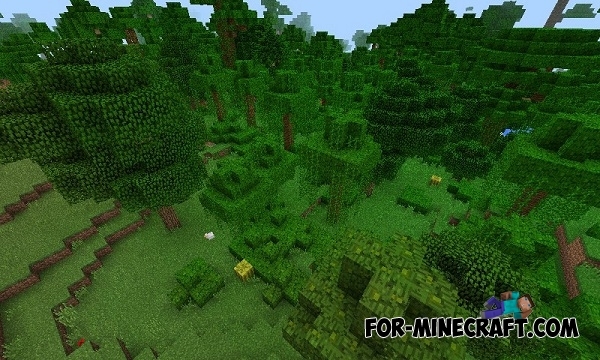 As mentioned earlier, near the village you will see a vast dense jungle biome. There are growing not only trees, but also a lot of watermelons. But that's not all. If you will walk a little, you will find a second village. It also has everything you need. So why not try to survive?